Planning a wedding is one of the most expensive things you will ever plan on. The other one is your college education. And due to the rising cost of planning and doing a wedding, more and more couples are opting for less pricey but personalised thank you gifts for the wedding entourage. And on this note we have tried to come up with a list of gift items you can try to choose from to give to your entourage. And did we say they are only £20 or less? This personalised wooden name train makes a superb and unusual personalised gift. The train is compatible with the Brio track. 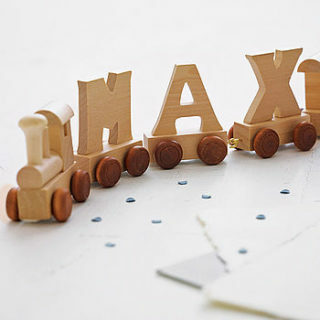 Simply choose the letters of the name that you want, then we add the front train, engine and rear guards carriage to make the train complete. 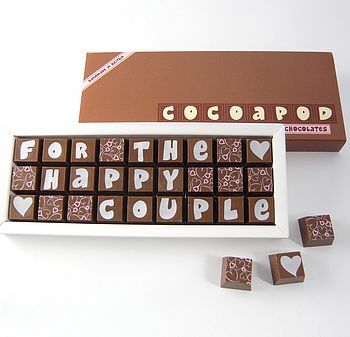 Hand made by COCOAPOD in a choice of plain or milk Belgian chocolate with white letters on the top of the chocolate. 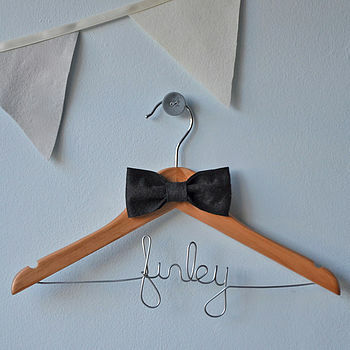 A wonderfully unique wooden clothes hanger, incorporating hand-crafted wire work in the wording of your choice. This beautiful handmade child’s hanger provides the perfect keepsake, gift or decorative display for that little person in your life! 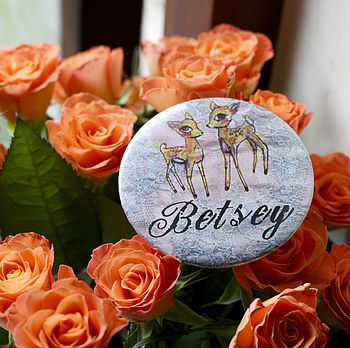 Fabulous personalised pocket mirror gift! Perfect mini gift for girls of all ages. 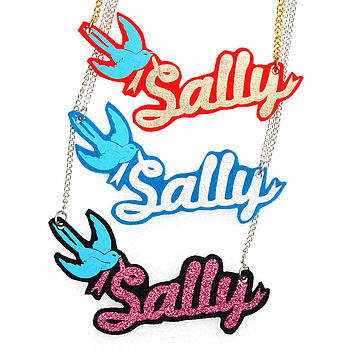 A necklace with a lovely vintage style bird holding a ribbon, personalised with the name of your choice. A beautiful, personalised love heart small bowl for ‘Rings & Things’. Perfect for the dressing-table! 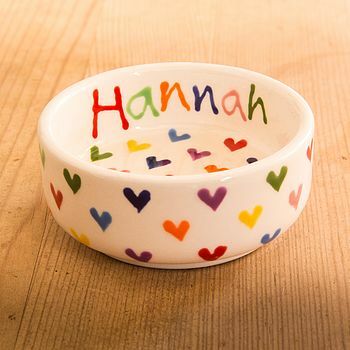 This personalised love heart small bowl is great for storing small objects such as rings, small jewellery pieces and all the little things that clutter up the typical dressing-table! These wedding themed personalised chocolate bars are an economical and thoughtful way to thank the male members of your wedding party. Choose between milk chocolate (with min 35% cocoa solids) or 70% dark chocolate. You can personalise the bar on the back. Choose letters which mean something to you, your initials, your children’s initials or perhaps yourself and your partner. 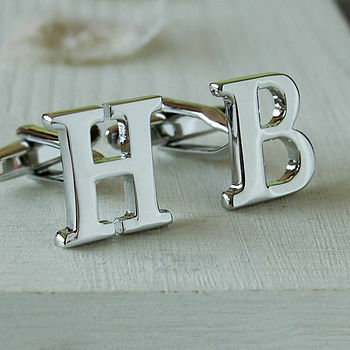 These cufflinks make a great gift for Father’s Day, or as a wedding gift for the groom or best man. A choice of lovely heart tokens or keyrings for the ladies in the wedding party as a thank you gift and keepsake in pewter. 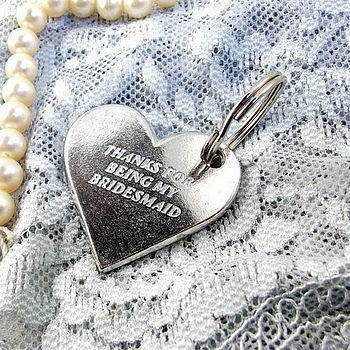 A solid pewter heart or keyring as a lovely gift for the ladies and girls in the wedding party. This is a great thank you gift for the bride and groom’s mothers, the bridesmaids and a special keepsake to remind them of the day. 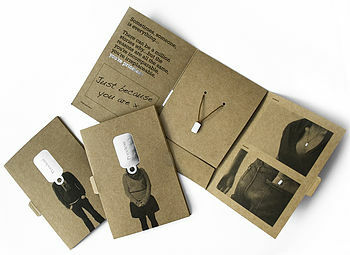 Presented in an organza gift pouch. 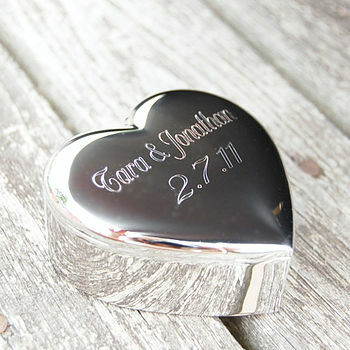 Personalise this charming silver plated heart trinket box to make a unique gift for someone special. The heart trinket box is wrapped in tissue in a blue gift box and tied with satin ribbon free of charge. This engraved heart trinket box makes a lovely present for a mother of the bride, bridesmaids, christening or special birthday and is a lovely way to send a special message. The perfect silver keepsake to give to that ‘Priceless’ person in your life. 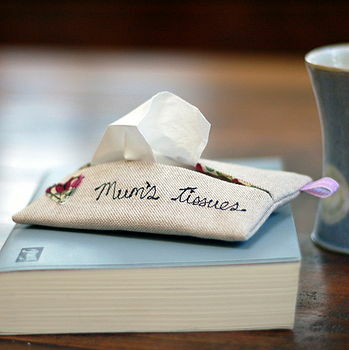 This beautiful handmade linen and Liberty print tissue case makes the perfect gift for mothers. The linen provides a contemporary backdrop to the gorgeous vintage Liberty print. Each case is individually embroidered using the freehand machine technique and your case will come complete with tissues making it ready to gift. 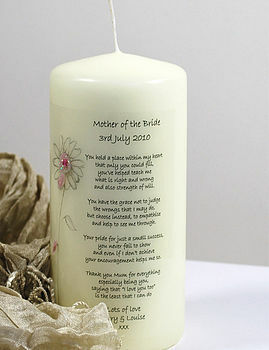 Personalised Candle for Mother Of the Bride/Groom.Gorgeous ivory pillar candle with an endearing verse for Mother of the Bride or Groom. What better way to thank your Mother on this special day than with a verse that captures some of the things that make a mum and just why she is appreciated. So perfect is the gift that it is sure to become a treasured keepsake of this memorable day and makes it exrta special if you decide on personalisation. 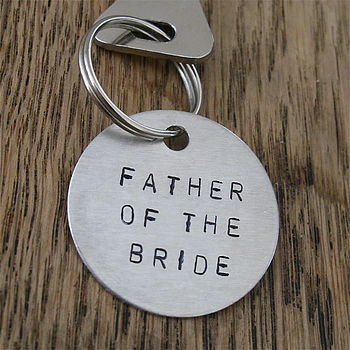 Edamay’s hand stamped metal key rings are the perfect way to say ‘thank you’ to your Dad on your wedding day. 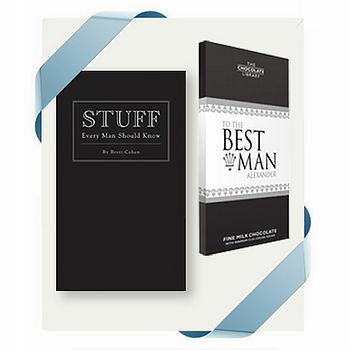 Let your Dad know how much you appreciate the special role he has played in your wedding day with a keepsake that can be treasured long after your celebration. A set of unique and stylish handmade cufflinks, to tell your dad how much he means on your wedding day. 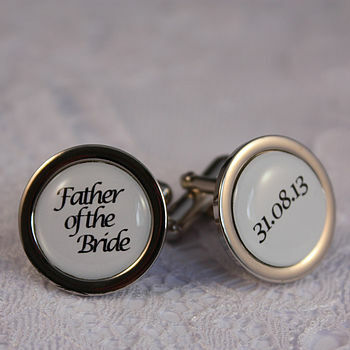 These cufflinks can be personalised with your wedding date or can just tell your father how much he means to you. They would make a very loving gift from the bride-to-be for her dad. 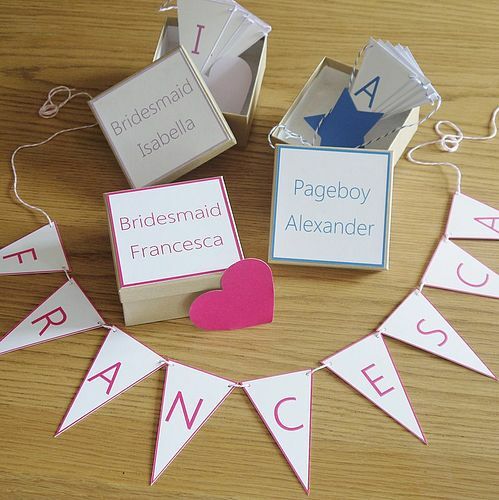 For your flower girl and young bridesmaids your wedding day is just as special as it is to you. It will often be their first chance to star and one that they often relish. Anyone who was fortunate enough to chosen as a young bridesmaid or flower-girl never forgets the experience and the gift you give will likely be treasured forever. 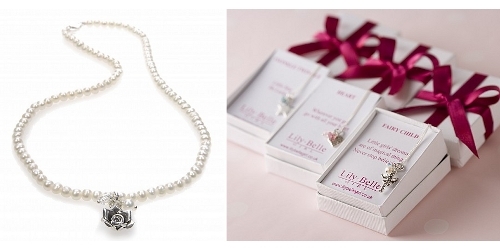 Jewellery makes a perfect gift for girls of all ages and can often be co-ordinated to match the jewellery worn by the bride or the older bridesmaids. Silver is ideal, most traditional and doesn’t have to cost a lot. 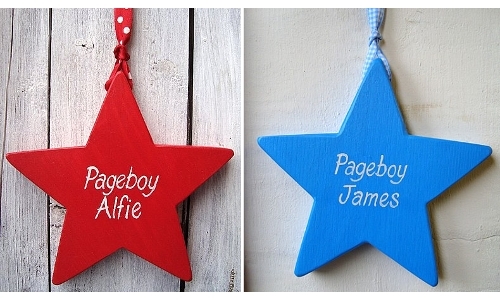 Page boys can be difficult to buy for and much more difficult to please than their female counterparts? However, there are a few traditional gifts which will suit. These cute bears are always popular and go down well with very young page boys and bridesmaids too.